Here's more positive vitamin E cancer research that the media "missed." Was it on the news? Did you hear about how high doses of vitamin E help cancer patients' immune systems in only two weeks? Why not? Might the answer possibly have anything to do with money? One cannot watch television or read a magazine or newspaper without it being obvious that drug company cash is one of the media's very largest sources of revenue. Given where their advertising income comes from, it is hardly a big surprise that media reporting on vitamins is biased. Well-publicized vitamin scares feed the pharmaceutical industry. Successful reports of safe, inexpensive vitamin therapy do not. The good news about how important high quantities of vitamin E are in combating cancer is not arising out of nowhere. A US National Library of Medicine MEDLINE search will bring up over 3,000 studies on the subject, some dating back to 1946. By the early 1950s, research clearly supported the use of vitamin E against cancer. 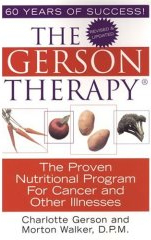 (6) Before 1960, vitamin E was shown to reduce the side effects of radiation cancer treatment. (7) In reviewing vitamin E research, one notes that the high-dose studies got the best results. Vitamin E is not the sure cure for cancer. It is not certain prevention, either. Stopping cigarette smoking is essential. But vitamin E is part of the solution, and we need more of it. An independent panel of physicians and researchers (8) has recently called for increasing the daily recommended intake for vitamin E to 200 IU. The present US RDA/DRI is a mere 15-20 IU/day. It is time to raise it. A lot. Anything that can reduce these dismal facts is important news . . .very important. Yet the mainstream media have virtually ignored vitamin E's important role as a cancer fighter. A sixty-one percent reduction in lung cancer with vitamin E? How could the news media have missed this one? The news media probably did not miss it: they simply did not report it. They are biased. You can see for yourself what bias there is. Try a "Google" search for any of the major newspapers or broadcast media, using the name of the news organization along with the phrase "vitamin E lung cancer." When you do, you will find that it will quickly bring up previous items alleging that vitamin E might (somehow) increase cancer risk. You will find little or nothing at all on how vitamin E prevents cancer. Indeed, the bias is so strong that even a qualified search for "increased vitamin E reduces lung cancer" will still, and preferentially, bring up media coverage alleging that vitamin E is harmful. Negative reporting sells newspapers and pulls in viewing audiences. The old editors' adage must still be true: "If it bleeds, it leads." Why isn't that information made public? Drug companies don't have any drug that can reduce lung cancer risk by 61%. If they did, you would have heard all about it in their advertisements. And it would be all over the news. Positive drug studies get the headlines. Positive vitamin studies rarely do. This is an enormous public health problem with enormous consequences. A cynic might say that press and television coverage of a vitamin study tends to be inversely proportionate to the study's clinical usefulness. Truly valuable research does not scare people; it helps people get well. It would be difficult to identify anything more helpful than actively reporting the story when a vitamin is shown to reduce lung cancer by 61%. (1) Mahabir S, Schendel K, Dong YQ, Barrera SL, Spitz MR, Forman MR. Dietary alpha-, beta-, gamma- and delta-tocopherols in lung cancer risk. Int J Cancer. 2008 Sep 1;123(5):1173-80. (3) Malmberg KJ, Lenkei R, Petersson M et al. A short-term dietary supplementation of high doses of vitamin E increases T helper 1 cytokine production in patients with advanced colorectal cancer. Clin Cancer Res. 2002 Jun; 8(6):1772-8. (6) Telford IR. The influence of alpha tocopherol on lung tumors in strain A mice. Tex Rep Biol Med. 1955;13(3):515-21. Swick RW, Baumann CA, Miller WL Jr, Rumsfeld HW Jr. Tocopherol in tumor tissues and effects of tocopherol on the development of liver tumors. Cancer Res. 1951 Dec;11(12):948-53. (7) Fischer W. [The protective effect of tocopherol against toxic phenomena connected with the roentgen irradiation of mammary carcinoma.] Munch Med Wochenschr. 1959 Sep 4;101:1487-8. German. Also: Sabatini C, Balli L, Tagliavini R. [Effects of vitamin E and testosterone in comparisons of skin exposed to high doses of roentgen rays administered by semi-contact technic.] Riforma Med. 1955 Apr 30;69(18):Suppl, 1-4. Italian. See also: Graham JB, Graham RM. Enhanced effectiveness of radiotherapy in cancer of the uterine cervix. Surg Forum. 1953;(38th Congress):332-8. Many full-text nutrition and vitamin therapy research papers are posted for free access at http://orthomolecular.org/library/jom .